ALPHEN AAN DEN RIJN, NETHERLANDS--(Marketwire - March 8, 2011) - Wolters Kluwer, a market- leading global information services company focused on professionals, launched its2010 Annual Report today. Celebrating the company's 175th anniversary, Nancy McKinstry, CEO and Chairman of the Executive Board, today also opened trading at the Amsterdam Stock Exchange in honor of the 100th anniversary of International Women's Day. This year's International Women's Day focuses on equal access to education, training, and science and technology. Joining the celebrations of women's achievements taking place across the globe today, Nancy McKinstry, a leading female in business, opened the day for trading at the NYSE Euronext Stock Exchange in Amsterdam at 9:00 am with the ringing of the opening bell. As of today, Wolters Kluwer's 2010 Annual Report is available. The report gives details on Wolters Kluwer's 2010 performance from a strategic, operational, and financial perspective, highlighting the continued transformation of the company's portfolio and the broadening of its geographic footprint. The 2010 Annual Report will also become available as an iPad app, illustrating Wolters Kluwer's focus on providing intelligent solutions and services through a variety of value-adding, innovative platforms and channels, and in print. For availability of the iPad app, follow @Wolters_Kluwer onTwitter. "Wolters Kluwer's deep understanding of customer needs and the market trends that influence them is rooted in our long and rich history of producing high- quality information and tools across regions and market segments. When the founding fathers of Wolters Kluwer launched their business 175 years ago, they set out to improve the quality of educational materials and as a result of their work they educated new generations of professionals. To this day, Wolters Kluwer continues this strong tradition, always focused on delivering value-adding, next-generation information and solutions to our customers. "By 2013, more people will access the internet on mobile devices than from desktops. Reshaping and transferring our products to mobile devices that reach our customers at their point-of-use creates new possibilities. Some products will be enhanced as they migrate to these devices while other products will be rejuvenated on tablet devices and their life will be extended. We have launched several initiatives across the company to take full advantage of this trend." Wolters Kluwer is providing an insight into the company's thought leadership in the area of technology and innovation through itsIntelligent Solutions Blog, where Wolters Kluwer's subject matter experts explore content, technology, and new ideas in the global information industry. The Intelligent Solutions Blog is part of the Intelligent Solutions website which invites visitors to experience and learn about the company's latest innovative developments. On March 16, 2011, copies of the 2010 Annual Report as well as the agenda of the Annual General Meeting of Shareholders to be held on April 27, 2011, at 11:00 am at the Okura Hotel, Amsterdam, will be available and can be ordered upon request. A Dutch Year Overview 2010 will be available as of this date and all details will be on www.wolterskluwer.com. Full calendar overview available at www.wolterskluwer.com. Wolters Kluwer is a market-leading global information services company. Professionals in the areas of legal, business, tax, accounting, finance, audit, risk, compliance, and healthcare rely on Wolters Kluwer's leading information- enabled tools and software solutions to manage their business efficiently, deliver results to their clients, and succeed in an ever more dynamic world. Wolters Kluwer had 2010 annual revenues of EUR3.6 billion, employs approximately 19,000 people worldwide, and maintains operations across Europe, North America, Asia Pacific, and Latin America, serving customers globally. Wolters Kluwer is headquartered in Alphen aan den Rijn, the Netherlands. 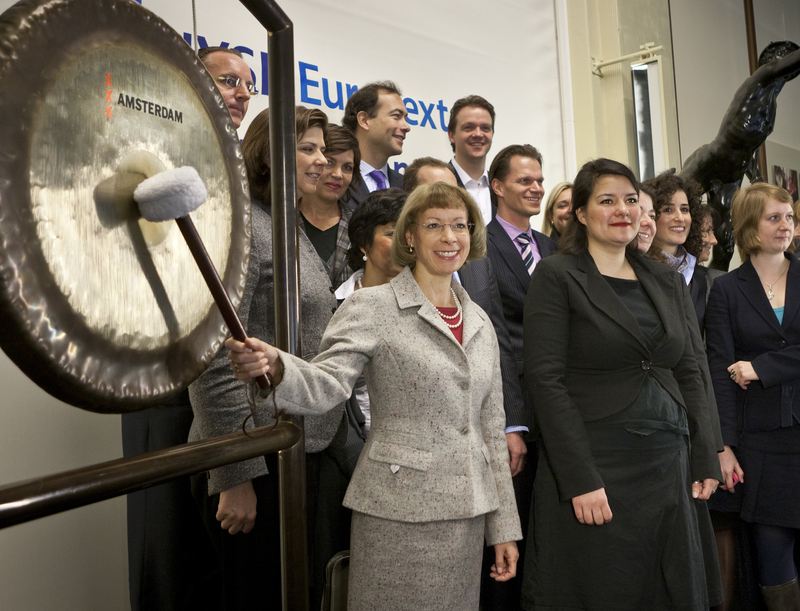 Its shares are quoted on Euronext Amsterdam (WKL) and are included in the AEX and Euronext 100 indices. Visitwww.wolterskluwer.com, follow @Wolters_Kluwer on Twitter, or look up Wolters Kluwer on YouTube or Facebook for more for information about our market positions, customers, brands, and organization. Should you wish to change how you receive information from Wolters Kluwer, pleaseclick here. This press release contains forward-looking statements. These statements may be identified by words such as "expect", "should", "could", "shall", and similar expressions. Wolters Kluwer cautions that such forward-looking statements are qualified by certain risks and uncertainties that could cause actual results and events to differ materially from what is contemplated by the forward- looking statements. Factors which could cause actual results to differ from these forward-looking statements may include, without limitation, general economic conditions; conditions in the markets in which Wolters Kluwer is engaged; behavior of customers, suppliers, and competitors; technological developments; the implementation and execution of new ICT systems or outsourcing; and legal, tax, and regulatory rules affecting Wolters Kluwer's businesses, as well as risks related to mergers, acquisitions, and divestments. In addition, financial risks such as currency movements, interest rate fluctuations, liquidity, and credit risks could influence future results. The foregoing list of factors should not be construed as exhaustive. Wolters Kluwer disclaims any intention or obligation to publicly update or revise any forward-looking statements, whether as a result of new information, future events, or otherwise.